Yikes...I used to love these when I was a kid...what happened, is it me? Revisiting sacred childhood books is always fraught with danger, but I find it hard to believe these were always so trite. The drawings are as good as ever, if not better, but I can't help but remember better story lines. Hopefully it's just this issue. I love Archie, and I know the comics have always been a little corny. That's part of the appeal! But this was just sooooo cheesy, I'm not a fan of the "what if Archie married X?" plots. (I had started reading The Married Life years ago, but gave up because I hated it.) It was also way too simple, I read this entire book in the time it took me to eat a bowl of cereal. The art is colourful and fantastic, but it's lacking in plot.I probably should have read a summary or something, because I honestly thought this was a book about how their relationship started, not a hypothetical story about their marriage. Feeling nostalgic, bought this at Big Bad Wolf. I haven't read Archie comics since my university days 10 years ago. 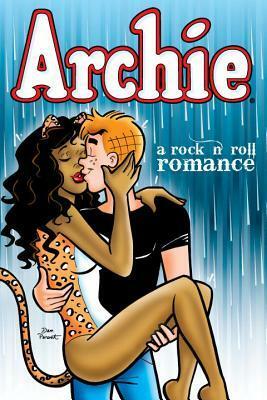 I guess this is the new Archie comic. It has reference to twitters and there is a bit difference in the character's personalities, more adult.I am not too fond of it. It is lacking the mischief that usually appear on archie comics. I wanted to see Betty and Veronica fight for Archie's attention or the arrogance of Veronica showing off her wealth, the sweetness of Betty as the girl next door type, or jughead funny obsession with food. Maybe this is just the wrong comic. I still enjoy reading it though.